This fourth and last installment continues, yet again, where the previous post left off. We’re finishing the stay in New Mexico and heading back towards southern California via central and southern Arizona. 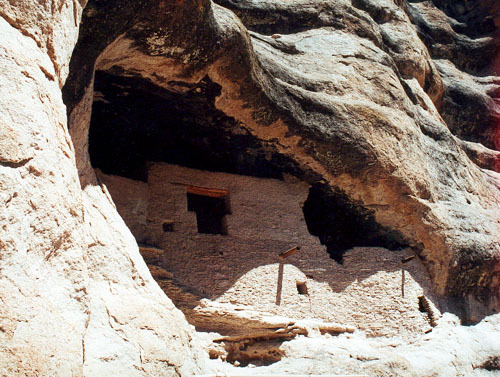 The archaeological wealth of the Southwest is immense. 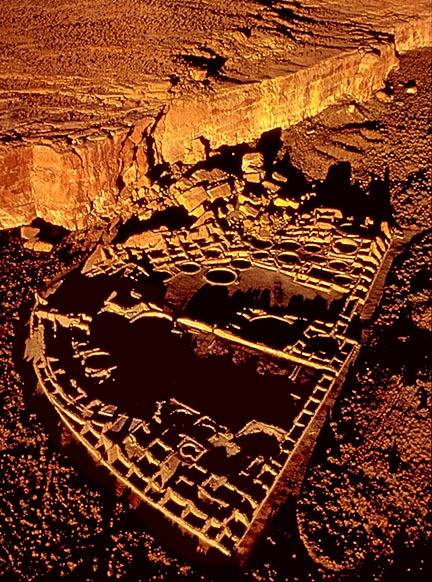 Sites such as Chaco Canyon are also one of the region’s most consistently successful tourist attractions. 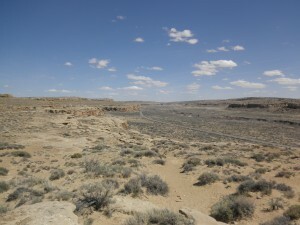 In and of themselves, these vestiges of a past civilization – commonly called “Anasazi” or “Ancestral Puebloan” – and of places and cultures such as Chaco, Mogollon, Hohokam and Mimbres attest to the complete absurdity of the frontier thesis of an empty land waiting to be “settled” by 19th-century white colonists. A mixture of settlement and movement prevailed in this vast region for millennia – with a complexity that is still baffling historians today, and with a number of enigmas still unsolved. Progress, if this word still needs to be used – but we should rather speak of “adaptation,” “evolutionary fitness” and “permacircular sufficiency” – was clearly on the side of the post-Chacoan descendants of the Anasazi – the very descendants, that is, whom the likes of Lieutenant Simpson and his colonialist ilk devalued because they no longer lived in the imagined grandeur of the Great Houses. In fact, they were more evolved because they no longer lived in the unsustainable grandeur of the Great Houses. This is what the Anglo invaders were incapable of understanding. 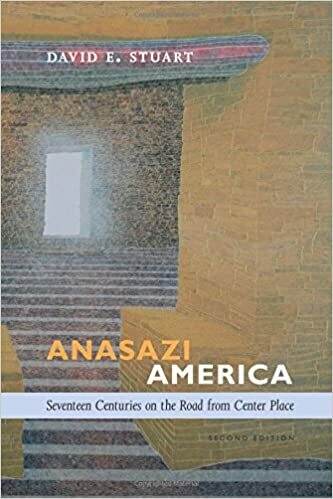 And this is – as Stuart has so wonderfully demonstrated in his work – the main lesson today’s unsustainable America can learn from the distant Anasazi past. It’s ultimately a lesson in perma-circularity. 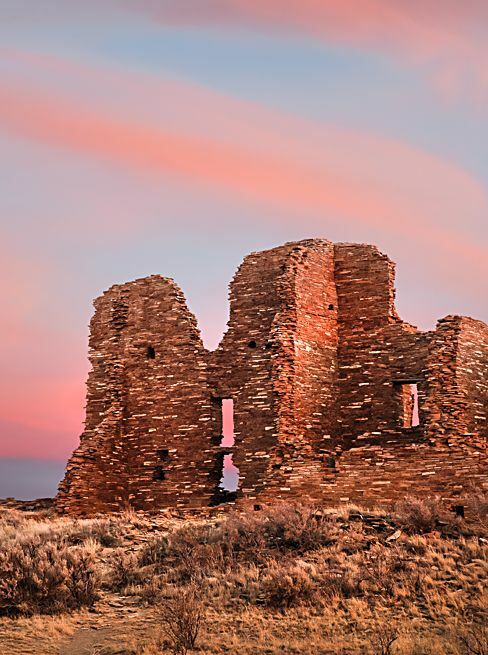 As Agnieszka and I were, along with so many other tourists, climbing across the ruins at Chaco Canyon, we were in fact witnessing a fast-forward into what the desert Southwest might look like again in a century or two. 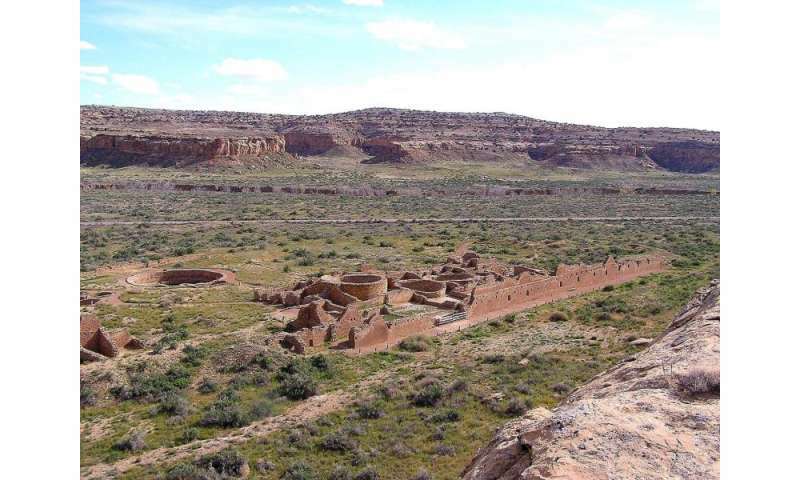 What happened to Chaco and to the whole Anasazi and Hohokam civilization? Although there is a whole lot left to be learned about the ancient Southwest, the most widespread explanation is that, analogously to the Maya in the 8th and 9th centuries AD, this agrarian, urbanized and therefore heavily water-dependent cultural montage collapsed because it overreached itself, becoming too large and complex to sustain itself given the local climate and the available resources within the local ecosystem. 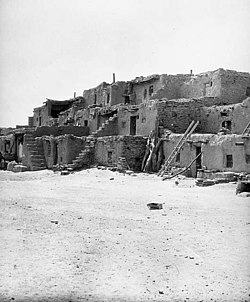 In a significant sense, the Anasazi (roughly west of today’s Albuquerque and Taos, NM) and the Hohokam (around and south of today’s Phoenix, AZ) succumbed to a kind of hubris not unlike that of the 19th-century planners of Phoenix, Los Angeles or Albuquerque: Although with much smaller technical means at their disposal, their tried to create desert oases through massive irrigation and densified urban settlement, accompanied by the almost inevitable administrative centralization and logistical complexity. 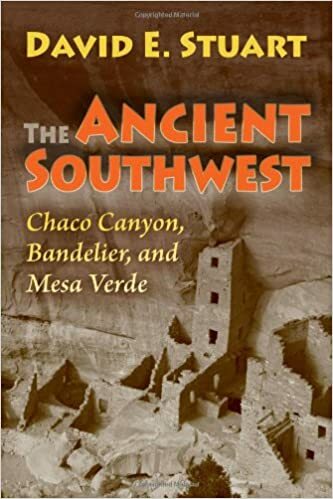 Chaco desert mesa — “where no city should be”? I would suggest to Stuart that after reading as many entries of this blog as possible, he might agree to rephrase his last sentence as, “Let us not further tempt fate; rather let us get right to the simple, straightforward work of perma-circularity, let us combine efficiency with sufficiency so as to no longer be trapped by system-induced rebound effects, and let us rebuild our national community on this renewed basis.” As I’ve discovered on my travels through the Southwest, thinking about how this beautiful, fragile and imperiled region could become a place of perma-circular thoughtways and lifeways is a worthy and timely task. I hope to contribute to it – and, in the process, to glean lessons for other parts of the world, too. I am now venturing into very delicate terrain. Just like what was the case for Pueblo Àcoma and Taos Pueblo in my previous post, I am reluctant to say too much about our visit to Hopi country. It was a short visit, which in itself makes it unamenable to accurate detail or insightful analysis. We saw and witnessed some surprising things – both in the positive and the negative sense – things that gave us pause. But first and foremost, visiting Second Mesa (the seat of the Hopi administration and cultural center) and then doing a short tour of the village of Old Oraibi on Third Mesa made us feel the heavy weight of being white heirs to an imperialist culture that had, for all practical purposes, fenced in and choked the culture we saw trying to survive here, on a small patch of land no larger than the Canton of Bern (more or less 6,000 km2) and housing some 7,000 people, completely surrounded by the much larger Navajo reservation that spans a territory straddling mainly a portion of Arizona, a bit of New Mexico as small parts of Colorado and Utah. Visiting Second Mesa – where we had some trouble in actually obtaining clear indications on where to visit – and driving by contemporary pueblos on Second and Third Mesas but not daring to park our car and stroll around, we felt the brunt of being in a strange land where we weren’t really supposed to linger. This wasn’t at all a question of feeling insecure or threatened – there was absolutely none of this, the people we saw and spoke to were gentle and engaging; it was, rather, a numinous and almost religious feeling of treading on sacred ground where (even abstracting from the visible poverty that afflicts much of the population) inexcusable transgressions happened at the hand of our forebears. It was the first time I really felt this in my flesh and bones. It was eerie, somewhat unholy and unnerving – like peeking in to a ceremony one isn’t supposed to be witnessing. It’s true I had read a couple of novels by Tony Hillerman just before our trip, and his richly plotted crime narratives shroud the whole of Hopi, Navajo and Zuñi country in an atmosphere of slightly unsettling mystery; but this was of a whole different order. The crime was both impalpable and thickly present, it was transversal and omnivorous – a crime of marginalization and confinement so unfathomable that kept the psyche from being able to grasp at even the slightest straw of legitimacy or normality. The feeling of betrayal hung over the land, for all its beauty and peacefulness – betrayal of the Natives by their brutal colonizers, betrayal of the Natives amongst each other: we learned there is a “friendly” camp among the Hopi (those in the majority who chose or thought it best to acquiesce to Anglo-European occupation and make the best of it) and also a “hostile” camp (those who refuse assimilation but also, as a result, appear to live at the margin of mainstream Hopi politics, subsidy financing and economic life). So the fine-tuned adaptation of growing techniques to the actual conditions of deep-soil moisture in the arid desert – capitalizing on those occasional rains that do occur but whose surface waters evaporate almost immediately – is one of the many ways in which the Hopi practice and conserve hydrosophic wisdom, or “water wisdom” tightly tethered to the unflinching truth put forward by Edward Abbey, and which is gradually becoming one of my mantras for reading and understanding the Southwest: “There is no shortage of water in the desert … unless you try to establish a city where no city should be.” As unsophisticated and even impoverished the Hopi villages on and around Second and Third Mesas may look from a purely superficial vantage point, they nevertheless convey an uncompromising message to us growth-obsessed Anglo-Europeans: Please reflect carefully, and study in detail, what might be required in this, the “Fourth World” in the succession of mythical worlds, the “World Complete” where abundance reigns but where human greed transforms it into poverty – please reflect and study in detail what might be required of us humans so as to remain durably within the boundaries of this one planet. Are you so certain that your arrogant pursuit of more, your “spaced-out” faith in the opportunities of space-faring, terraforming Mars and harvesting on asteroids (to which you are devoting millions of dollars at universities just a few hundred miles from here) are going to allow us survive into the next century? A building is a container that points to the function it plays as a medium towards a broader reality. As a result, what matters for a Pueblo or a Hopi Indian is not primarily how houses look ­– the “great houses” of Chaco seem beautiful to some of us but their aesthetic seems not have been a matter of concern (until they became tourist items) – but what broader spiritual and cosmic meaning structure they make possible for the humans living in them as “containers.” I had this feeling very intensely as we were being guided through Old Oraibi; some houses were ancient and being restored in traditional Pueblo style; others were ancient and left to crumble; others still, including houses around the pueblo plaza that serves for religiously significant rituals, had been recently built out of (to our tourist gaze) unseemly and “inauthentic,” grey cinderblocks. I now realize that whether these houses looked “authentic” (and I cringe at this word as I write it) or whether the streets between them were “well kept” (another cringeworthy import from my own worldview) was secondary. What mattered to the lady who guided us was, of course, the money she needed and could earn through our passing visit but, perhaps much more importantly, the creation and maintenance of sacred, meaningful space that her words conjured up as she showed us the nooks and crannies of her ancestral village. Perhaps, I now wonder, worldviews such as these, with the associated thought- and lifeway, make it unnecessary to constantly talk about “sustainability” and “perma-circularity.” Perhaps they are intrinsically geared toward instinctive sustainability and perma-circularity, because they are not – which is what the Western mind finds faulty in them – even capable of generating the cultural and material hubris we have become accustomed to. Not all is peaceful, of course, among “the Peaceful Ones.” The struggle between the “Friendlies” and the “Traditionalists” – whom certain Friendlies call “Hostiles” – centers in part around the heritage of Oraibi itself: Old Oraibi, which we visited while not yet being quite aware of these rifts and splits within the Hopi people, appears to be a mythical center and a geographical umbilical cord to what the Traditionalist Hopi consider to be their main objective of life: simplicity, balance, and harmony as tools for relinquishing the obsessions of “human genius and ego” (just like in the scholarly work of the Tewa Pueblo thinker Greg Cajete, which I presented in section 7 of my previous post). Implicit in this is a critique of those other Hopi who – I don’t know whether this is true or not – gave up their lifeways and compromised with Anglo-European values and lifeways. 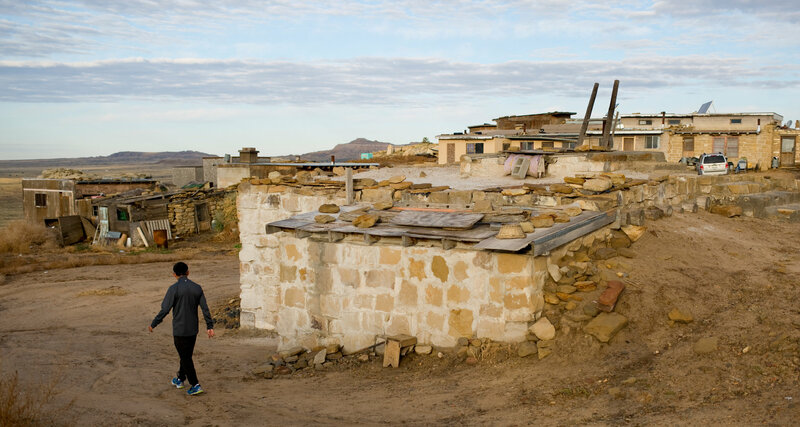 In the conditions of contemporary American life, the life of the Hopi is an almost inextricable mesh of chosen simplicity and unchosen poverty. The two can sometime compound to create the impression of a people adrift – but nothing, I think, could be further from the truth. To the extent that we are truly seeking a perma-circular society and economy, we will need to build a perma-circular culture: and once we try to do this, the Hopi will be among those called to our assistance in order to help us shoulder the necessities of a simpler existence. Their endurance throughout the millennia – through internal strife and the external hardships of colonization – is a testament to their capacity to, one fine day, assist us unenduring Westerners on the path toward the endurance we will need. Let’s be prepared to ask for development aid from the Hopi some day in the more or less distant future, when we finally come to grips with the necessities of a one-planet, perma-circular way of life.